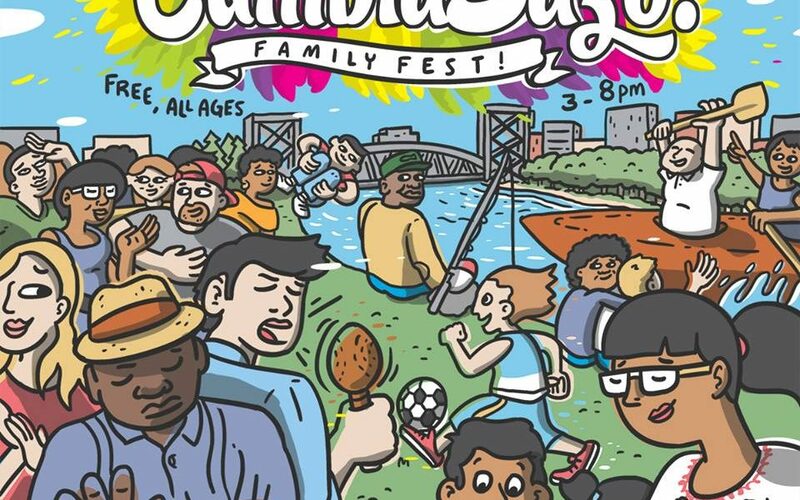 We spoke with David Itzi Nallah, founder of CumbiaSazo, as they prepare to celebrate the tropical dance party’s five-year anniversary at CumbiaSazo Family Fest. 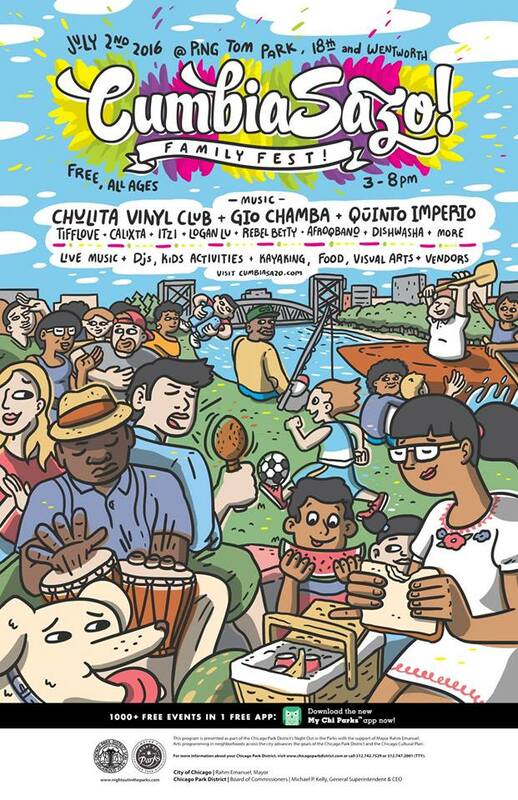 The free party is today at Ping Tom Park. (3-8PM). What may be considered an underground movement by those unaware of its growth has actually proven to be a powerful concatenation of cultural relativism. Its incessant evolution grows from the passion of communities joining together in celebration of cada quien’s cultura. It’s exciting to see such a force as a conduit for unhindered musical, artistic and visual creativity. 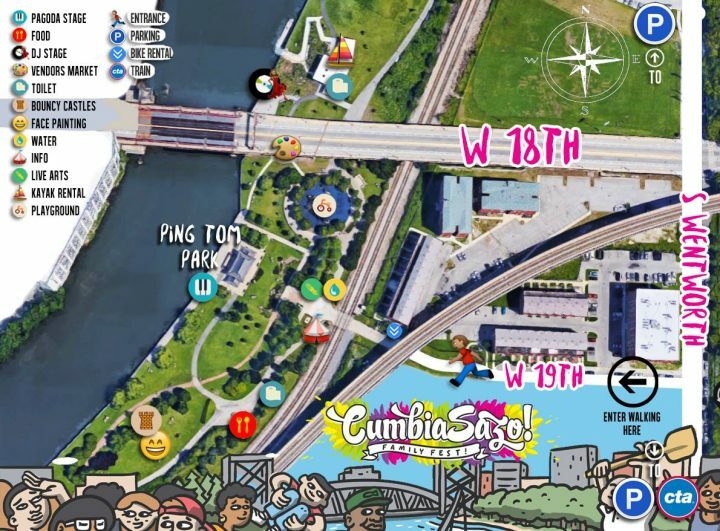 Today, CumbiaSazo is celebrating five years of sharing all that love with a first ever outdoor event, right on the edge of the river, with a view of our beautiful city as a backdrop for this Family Fest. “Our crew (Tifflove, caliXta and myself) and collective family served over 10,000 people through club parties and touring this past year, including a few kids and underground events, and created a stage for over 200 majority people-of-color visual artists, DJs and bands from Chicago, the US and Central America. “For our five-year anniversary we wanted to welcome folks from this entire community to celebrate and thank everyone for their support with a free gathering. The fest will be our first rehearsal at such a thing and we’re so lucky for it to take place at the absolutely gorgeous Ping Tom Park in Chinatown and in partnership with Night Out In The Parks. It won’t take place in one open space, like most Chicago festivals, but will instead have a feel like our club nights with featured surprises and delights sprawling throughout the park, from music at the Pagoda main stage, to a large vendors market under the 18th Street bridge, to kayaking on the Chicago river, to play spaces and bounce houses for kids… to food, picnic and walking areas, live artists, circus acts, and more. 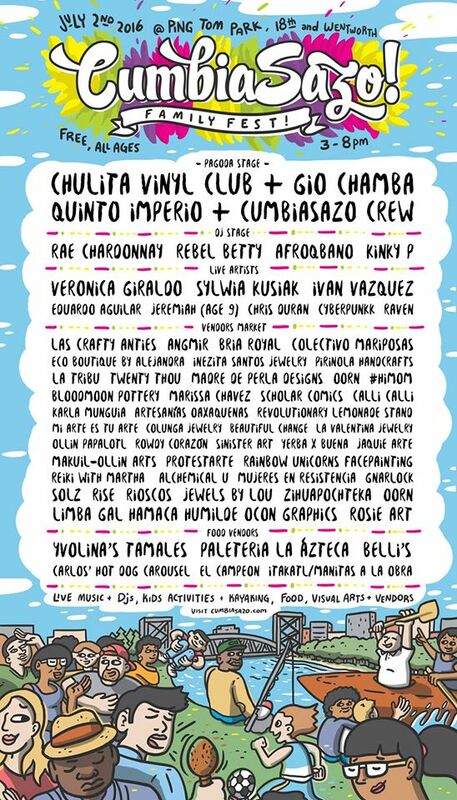 “Live music will feature Quinto Imperio from Back of the Yards, Gio Chamba‘s electric cumbias live from Houston, and special DJ sets from Teardrop + Maribel Falcon of Chulita Vinyl Club, an all womyn, all vinyl-based DJ crew with chapters across the south & west US. We’re looking forward to this new step, too.